Junior Suite - Hotel "Auguste Victoria"
- Wi-Fi for a fee Dogs with dog basket are allowed by prior arrangement for a fee of 15 € per night. Welcome to the family jewelry box, lovingly decorated, the modern EXPERIENCETHE breathes the charms of seaside architecture. This 4-star property, determined by individual atmosphere and attention to detail is first class comfort, of course. The rooms and suites are furnished with tasteful comfort and service today. Jugendstil elements tell the story of the house. The hotel has NON-SMOKING 18 rooms or suites. The reception takes place in Conditorei-Café "The Villa" .- sauna use is included in the price. - Should you arrive after 18:00 be, this is only possible by appointment. Near the beach and the newly designed beach promenade Ahlbeck, our Villas stand as magnificent testimony of bygone times. In a quiet but central location of the resort, can be reached in just a few minutes the Baltic Sea spa, the historic pier or the shopping street. 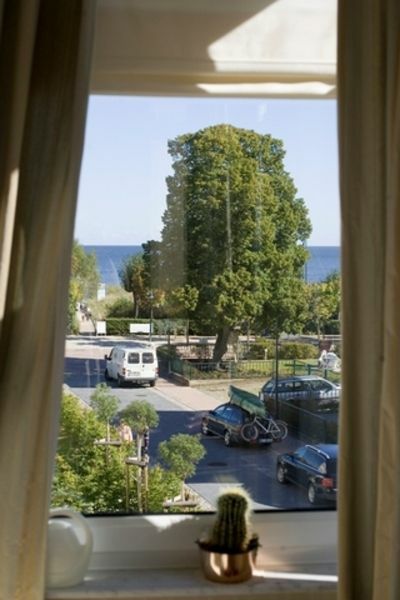 The access road in our house is located, leads in only 50 m to the sandy, white beach of Usedom.